Who is Kiwi Tax Refund? Kiwi Tax Refund is a division of Kiwi Financial Services Limited. We are Tax Agents, registered with the Inland Revenue Department (IRD) of New Zealand. Kiwi Financial Services Limited is a private limited liability company, registered with the New Zealand Companies Office under the Companies Act 1993 and, as such, is independent from IRD. We do not work for Inland Revenue, we work for our customers - Salary and Wage earners in New Zealand. We offer a Personal Tax Advisory service to help salary and wage earners in New Zealand by making sure that they are compliant with IRD and have another affordable option for tax matters other than having to personally contact IRD. Kiwi Tax Refund retains specialist accountancy and legal advice to provide oversight across all aspects of our Tax Refund operations in New Zealand. 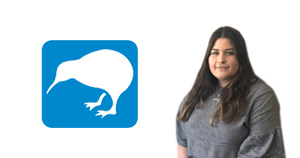 Kiwi Tax Refund employs chartered accountant Angela Newell, as the company accountant, to ensure that Kiwi Tax Refund delivers accurate and professional services to all of it's customers. New Zealanders returning to NZ after working overseas. we have the knowledge and expertise to do this accurately and efficiently in order for you to get your tax refund as soon as possible. No waiting on hold for hours with IRD (last year people were on hold for 1 - 2 hours and at times longer) - this year will be worse! A quick email or call to us and it�s sorted. Our simple online application will ensure that you are compliant with IRD and have another affordable option for tax matters other than having to personally contact IRD. We take all the stress out of dealing with the IRD - no worries. Kiwi Tax Refund is a division of Kiwi Financial Services Limited. We are registered with the Inland Revenue Department as a tax agent. George has a BCA from Victoria University Majoring in Marketing and also Management. George�s expertise lies in start-ups. He has been involved in growing and implementing business systems for importing companies in Australia and New Zealand, IT services companies in New Zealand and financial services companies in New Zealand. George�s personal interests include cricket, rugby and cycling. George also enjoys watching sports and fishing.